May your year be blessed with the Divine Blessings of the Anointing! HBD Bishop! 3 SPECIAL EARLY-MORNING HOLY COMMUNION SERVICE! WOW! 4 AM COMMANDED TO ~~~PERSONALLY~~~ SERVE YOU THE COMMUNION! WOW! 5 OGUDU 8.30am to 10am STRICTLY. Ogudu ORIOKE. Chris Kwakpovwe (born 15 November 1961) is a Christian minister, trained pharmacist and author. He is the founder and senior pastor of Manna Prayer Mountain (MPM) Ministry Worldwide, headquartered in Lagos. He is also the author of Our Daily Manna, a daily devotional. SPECIAL EARLY-MORNING HOLY COMMUNION SERVICE! WOW! AM COMMANDED TO ~~~PERSONALLY~~~ SERVE YOU THE COMMUNION! WOW! THE BLOOD WILL TAKE YOU FROM THE BACK SEAT TO THE DRIVER’S SEAT! THE BLOOD WILL CANCEL THE YOKE OF TURN BY TURN! THE BLOOD WILL TAKE YOU FROM THE CROWD! THE BLOOD WILL SHOW YOU THE WISDOM OF THE SERPENT! #THIS SUNDAY AT THE NEW MANNA MOUNTAIN! ITS NEW! ITS FRESH! IT’S A NEW BEGINNING! (Just behind Ruby Event CENTER, 3rd Roundabout. CHISCO bus stop). OGUDU 8.30am to 10am STRICTLY. Ogudu ORIOKE. Your ACCUSERS HAVE LOST THE BATTLE! Call *SPECIAL EARLY-MORNING HOLY COMMUMION SERVICE! * WOW! 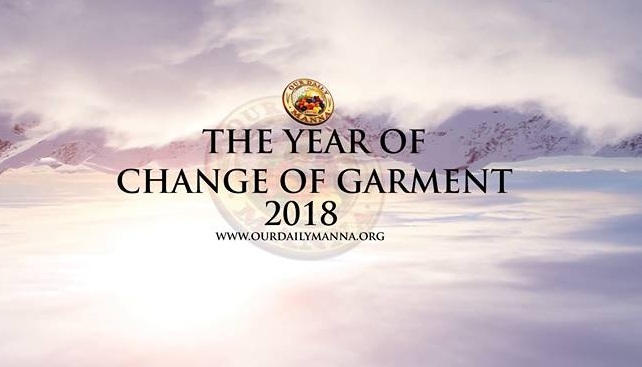 Next Post:Our Daily Manna 16 November 2018 – VIGIL DAY: I SHALL NOT LABOUR IN MY ENEMY’S VINEYARD! Happy birthday Daddy. May Jehovah Grant you long life and prosperity. I prophecy streams of wealth should flow into your life now in Jesus’s name amen. happy birthday man of God. Happy birthday sir may the lord continue to increase u Grace , power and in anointing in JESUS in name. Happy birthday to you Bishop, your love for us will yield fruits in every area of your life in Jesus name amen,Muy Feliz cumpleanos. Happy birthday sir, the anointing of God upon your life we not dry, every plan of anti-gospel to stop this your good work will be nullified, your family are protected by the blood of Jesus. We celebrate you today, your impact to this generation can not be erased or forgotten,you are a blessing to this generation. 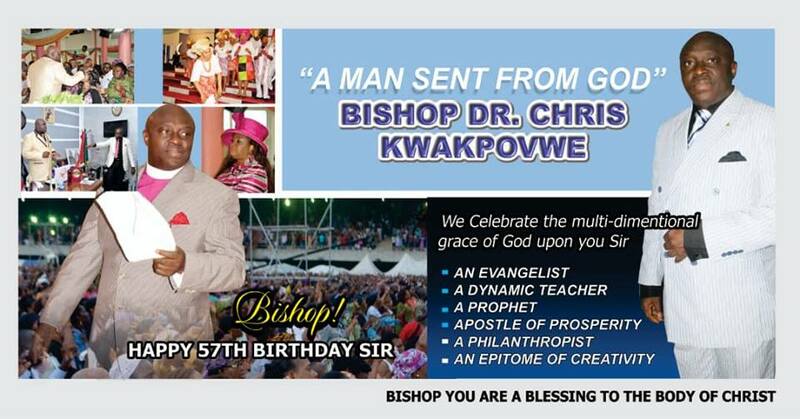 Happy birthday and many more , mighty man of God. May the annointing on you never run dry. May the Almighty God continue to bless, guide and protect you and yours as you continue to serve Him faithfullly. IJN. Amen! Happy birthday man of God. May God continue pouring knowledge and wisdom unto you. ODM is more like food and breath to me I just can’t do without it. May the Lord give you more strength to press on until HE comes. Papa, On behalf of my family, we wish you a Happy birthday! You are a blessing to this generation! More grace of God to you and your family. Wishing you the best of heaven’s blessings on this your 57th birthday, in Jesus mighty name, amen. More grace, more anointing, fresh empowerment, greater knowledge, wisdom and understanding, to set you further apart, as you enter a new phase in your ministry in His vineyard. Happy birthday to the man of God. Through your touch by God we are touched also. Happy Birthday Mighty Man of War may the good Lord add more years to your life we love Daddy indeed you have won our souls to God be the glory.